How do you choose your performance gears? Just for the fashionable reason like I usually see at the my local Planet Fitness with fabric stretched enough that I see their skin? I don’t intend to look females wearing those “Spandex” pants but couldn’t resist. So how about the mens? Well, you guess it ! I’m the only “Meggins” at Planet Fitness wearing “Virus” gears. Who knew right? Today for those of you looking for different high performance gear I have 3 styles of “Leggins & Meggins” you can choose from. Just to be clear the photo you see below is for men’s compression pants. Females still have similar model # but you guess it, they are little more fashionable look but retain it’s performance at best . Two photos below shows both side of the pants and I will list the Virus model number from “left to right” which consist on bullet list “Top and Bottom” starting from left pants. Virus do have little bit of confusion when it comes to the model of their clothes. Many times you will find the same model abbreviated but year to year they are slightly different in design and fabric. Before I forget to mention but I have mistakenly placed identical pants for 2nd/3rd in the photo with different color. All in all for our SUP racing, SUP training and strengthening workout three different level of high compression pant should do the job for you. Thing you need to remember about Virus. Little to know there is many Athletes and Virus fan order as they come in. In my opinion some items are very limited in stock and runs out quickly so if you are last min person you will have difficult finding the pant or the top in that matter. Two month before Chattajack during my 4hrs simulation paddle, my knee was giving up and I was wearing most likely wearing my green AU9.5 (far left) pants. I end up calling Virus customer service to find the soultuions. They told me Elite Series AU10 was best choice for what I need it for the Chattajack. Only problem was that US HQ depleted the the stock been discontinued model. I end up finding one at New Zealand Virus branch and order one. It was almost 2weeks wait to get the pants but it was one of the best pants I wore on the Chattajack. Elite Series has not seen in US Site for 6-8month but during the Black Friday Virus released new “STEALTH” limited edition. Little to know I order one with freebie socks and seems this newest limited edition AU9.5 has same compression strength level as AU10 with lower pricing. Only noticeable different is in the waist area. If you look 4th (AU9.5) and 5th(AU10) pants, rear side of waist has high pitched. Both pants are really hard to slide in but best high compression Virus offers. It doesn’t cut your circulation but you definitely feel you are compressed. 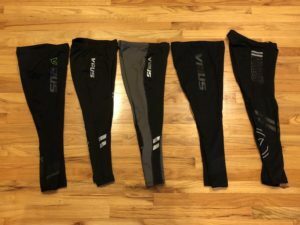 These pants styles serves me mostly in early spring , fall and winter training. I use everyone one of the pants accordingly how I feel with my body but my go to pants for normal strengthening session would be my SIO16 pants. 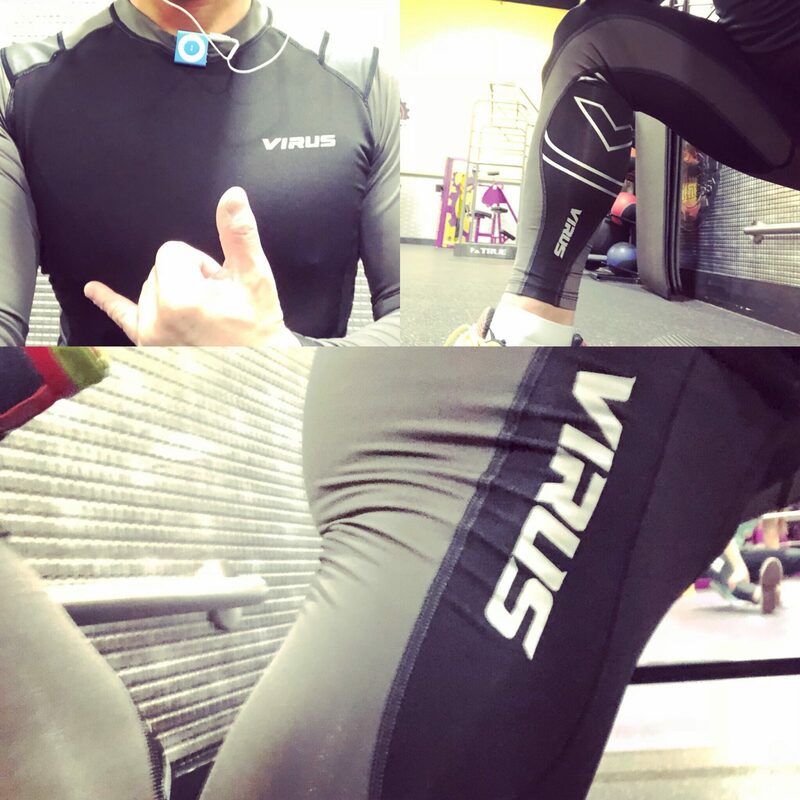 Virus has three fabrics that in my opinion does the best; Stay warm, Stay cool and Bioceramic. I have to say I am gear junkies from outdoor cloth to electronics. Over the years I have learned to pick the best of the best because at the end you will just simply hate it and you have to sell or donate to your local charity. Please visit the site and look these pants for your references. 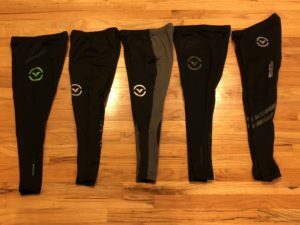 MEN’S RECOVERY COMPRESSION PANTS ELITE LIFTING (AU10) -This is discontinued model in early 2017. *Limited models on mens seems to repeat itself as AU9.5. AU9 seems to be the direct replacement. ** After talking the photo I discovered that I placed 2 of the same thing except the design.